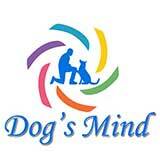 Worldwide, there are two schools of dog training. The first one is based on the rewarding of every desirable behavior and the punishment of the undesirable ones. The second is based only on rewarding (mainly with food), of the desirable behaviors, and recommends “indifference” for the “contraventions”. Positive reinforcement, rewarding, and correction, are words that interlard the image of the same method of training, the conditioned reflexes. I apologize, for the simplicity of the presentation. Whoever is interested can see, in hundreds of sites, how each trainer analyzes his work. Conditioned reflexes. Pleasure and fear. Reward and punishment. “Is it training, or a conscious attempt, to “guide” someone’s behavior? We are not talking of the dog any more, we are referring to our educational system. A system based on positive reinforcement and punishment. Look at any aspect of our lives you chose, and you’ll see that its foundation is always the conditioned reflexes. At school we learn to struggle for a rewarding grade, versus an unrewarding one. We learn which is the right behavior and which is not, who we are supposed to respect and how we are supposed to talk to them, which is the valuable knowledge and how important is the role of science for our society. Behind the reward, there is always, the stereotype of the human, that todays’ system suggests as “healthy”. When someone’s wishes identify with that stereotype everything is under control, but when wishes deviate, then we begin to talk, at first about idiosyncratic behavior, and if the deviation increases, about problematic behavior. What is the reason of having a wish, outside of what we were taught to be “healthy”? I used the word wish, because, as it is easily understood, in order for a behavior to occur, it must have an emotional background. Behind every action of a dog or a human, there is a wish. Wish and behavior are inextricably connected with what we call personality or character and implies the behavioral (and not only that) uniqueness of a person. What did the “educational” system of humans accomplish? Did it liberate human being from his “problematic behaviors”? Did it stop violence in all of his life’s manifestations? Did it create egalitarian and parity conditions? Did it make him more intelligent? Do you remember the experiment with the wolves? “They gave meat saturated with chemicals, that induced vomiting, to a wolf pack. The wolves were feeling sick for hours. The next day, when they offered the wolves, the same kind of meat, none of them approached it, although they were hungry”. Consider ) the strength of a artificially created experience, attempting to lead to the desirable behavior. It’s unbelievable, they were hungry but they weren’t eating. Of course, when you are hungry, but you don’t eat, would lead to a kind of disorder, don’t you agree? The wish is “to eat”, but the lesson learned through the conditioned reflexes is “don’t eat, you will get sick”. So, the wolves look at the food, desiring it, but they don’t dare to touch it. In this example, we have the alternation of a behavior, as the result of an “experience”. When it’s necessary to keep someone’s behavior in a “familiar” frame, the necessity of control begins. The goal is not to be caught by surprise! In our lives, it’s the power of control that drives us to actions, often conflicting to the ones that we really want, it’s the power that keeps our mouth shut, with the fear of rejection, it’s the power the deters us from dreaming and disillusions us a daily routine, as the only way of living, it’s the power that generates desires that never lead to redemption, while fading (excluding) others, vital for our existence, it’s the power that whispers in our ear “that’s the world … and it can’t change”. “Problematic” behavior tangled up in science. How does our society react to an unpredicted or problematic behavior? Punishment is, for sure, the first thing that came to our mind. Long ago a new science made its appearance. It claimed that our knowledge about human brain functioning, provides us with the ability to invent substances, that would cure disorders, correlated with “deviant” human behaviors. This science created hope, that we could alternate human behavior, making it “flawless”. Future, though, proved differently. A few decades later, human behavior, is nothing but “flawless”. Despite this fact, the specific science thrives. Human beings seem to be falling apart, “mental illnesses” increase, and we even discover new, fresh ones. Those who are in doubt or consider that excessive, can find the statistics, that present the raw reality.
. The result was exactly the one that I expected. The education of the future? At this moment, specialized in dog behavior scientists, recommend chemical substances, which affect the neurotransmitters, in order to solve problematic behavior. Or to put it correctly, as they would say it, in order to create the “conditions” that will help the treatment of a behavior. Similarly to the drugs made for humans, there is no thorough scientific evidence, of how the act and what they cause. Neither of these can be measured, so in the “Side effects” section, they “play safe” and mention every thing. At this “random” moment, researches and complaints, appear like an avalanche, and question the scientific base of these “medicines”, while people turn to alternative and natural treatment methods and reject chemistry. At this time the market “opens” and includes dog in it. Around the world of Chemical Substances, I discovered a great number of invisible people talking about the chemicals’ immense side effects. Among these people, there weren’t only patients, but also scientist of this area. The scientific community, answered their complaints, with the understanding that the doctor shows to his patient, and a wise old man to a naïve child. In all this confusion, no one seemed to consider of how a “behavioral disorder” started. Which was the factor that made human, and gradually dogs, “ill”? Beyond the functional similarities, that we saw in previous articles, we found similarities in the training method and other areas. At this point, we are taking a break. I ask you to Google up “Dog and neurotransmitters” and focus on the documents and articles you will find. Believe it or not, “conspiracy” scenarios, would unfortunately lead, to the creation of incorrect correlations, resulting devaluation of any important element that could be hidden in everything that we have referred to. Be patient, the system is “dumber” that we think. Human beings don’t need any conspiracy, in order to get trapped, they can do it well by themselves. It’s not somebody else being “mean” to us, it’s the nature of our thinking. In order for this article not to have a bad ending, let’s close with a definition of real education. “Training is the effort to acquire skills on physical, mental and ethical issues”.